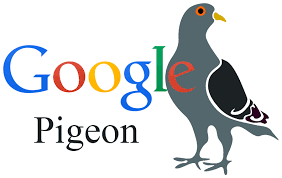 What is the Google Pigeon Algorithm? Pigeon is the Local SEO algorithm that introduced similar sort of requirements for local rankings as non-local rankings. Local rankings had previously been held accountable to a different set of rules, but Pigeon changed that. In addition to bringing the two algorithms closer together, Penguin also introduced new algorithms regarding location and distance. When it initially rolled out, it has been said that more than 50% of local search results were affected. In a nutshell, the Pigeon update means that you now need to put a little bit more effort in if you want to rank locally. In addition to the Local SEO practices that are needed to rank for local searches, you now need to consider standard SEO practices too. This is a lot easier than it sounds, as it’s simply a case of ensuring that your website is well-optimised, as well as tailoring it to local search results. Well-optimised pages – Pigeon introduced the same criteria for local listings as non-local, meaning you need to ensure your website is optimised well. This includes correct usage of URLs, titles, alt text, and content. Consistent NAP – NAP means “Name, Address, Phone Number”, and it’s one of the most important things for local rankings. The Pigeon update will check every instance of NAP for your business across the web, ensuring there is consistency there. Basically, if you’re trying to start ranking for another location, you can’t start posting loads of different addresses and phone numbers for your business. Google don’t trust businesses that can’t decide where they’re located. However, you’re ok if your business does have several branches, as long as you reflect that in all NAP’s you share. Google My Business Page – It may seem a little unfair that Google dictates that you must use one of their services in order to start ranking, but it’s a free one so we can’t complain. A properly optimised Google My Business page (you have to confirm your address), works wonders for local search rankings, as they then know that your business is where you’ve said it is. Citations – Citations (or backlinks, as they’re more affectionately known) are a key factor in any SEO campaign, and Local SEO is no exception. As per non-local rankings, you need to ensure you are only acquiring backlinks from quality sources, but there’s more options available for local rankings. Pigeon checks your backlink profile for local directory listings, a good sign that you do operate locally. Go out and find some local directories to add your site too, and you’ll give yourself a Local SEO boost.